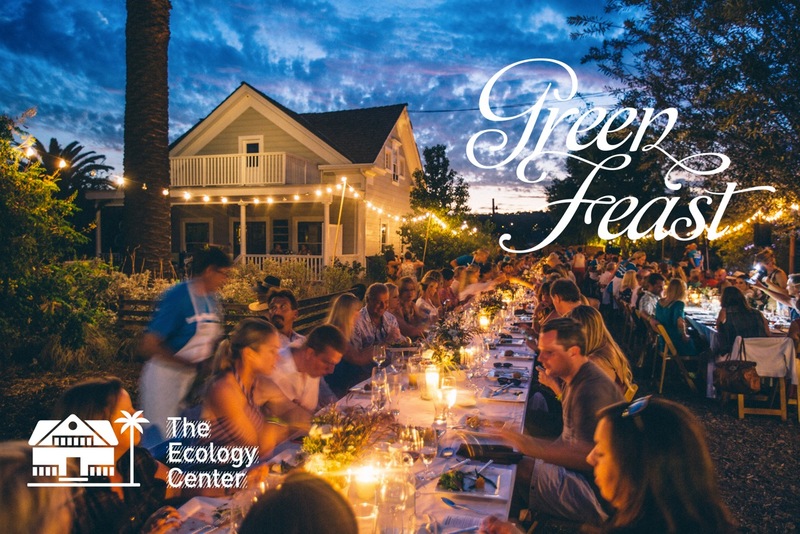 Tickets are now on sale for the 9th Green Feast fall farm-to-table fundraiser on September 10th with the best regional chefs, from San Diego to Los Angeles, coming together to create an inspiring, sustainable feast at The Ecology Center in San Juan Capistrano (32701 Alipaz Street). All proceeds from Green Feast support The Ecology Center’s ability to continue growing regenerative food systems, healthy watersheds, and vibrant communities. Robert Ruiz – Land & Water Co.
Tickets are $250 for members and $300 for non-members and can be purchased on The Ecology Center website. Annual membership for The Ecology Center starts at $50 for a full year of benefits. For more information about The Ecology Center, membership and benefits, please visit TheEcologyCenter.org. Seating is limited and all proceeds from Green Feast will be directly invested into The Ecology Center’s eco-educational programs and initiatives.